Bolivians have had to get used to doing without postal services. In her Letter From Cochabamba, Amy Booth writes how they manage instead. One thing that has amazed me about Bolivia is how easy it is to forget completely the existence of things I once considered common­place. When I last visited the UK, I rediscovered with amazement passenger trains, takeaway meals and paying by card. Yet, the single most conspicuous absence here was something I didn’t even notice until it was pointed out. Travelling back from the town of Toro Toro in a pickup truck, the driver gestured at Cochabamba’s only post office. In Bolivia, the post as I knew it does not exist. There are no street corner postboxes, postal workers making their daily rounds, or neighbourhood post offices. While there is a central post office, I have only ever used it as a landmark for meeting people. There is a national postal company, Ecobol, but it is mired in financial difficulty. President Evo Morales announced plans to close it in June 2016, and while that has not happened yet, workers have been striking this year over months of unpaid salaries. My friends sometimes use it, but with mixed results: packages can take months to arrive, and sending items can be chaotic. ‘I’m still waiting for stuff from the beginning of the year,’ one friend told me in October. The implications of not having domestic delivery are remarkably far-reaching. At a basic level, utility bills don’t come in a sealed envelope and can’t be pushed into letter boxes that don’t exist. Electricity bills are often rolled up and balanced precariously in the hinges of the garden gate. I have seen utility bills blowing down the street in the wind. People who want to send parcels long-distance often give them to bus drivers, telling the recipients which company has it so they can pick it up at the terminal in their city – although not all cities have direct bus links. Online shopping to buy goods that can’t be found in Bolivia also becomes difficult. Those who want something from abroad are constantly on the lookout for anyone who is travelling. The last time my partner and I went back to the UK, we were asked to bring a bass guitar in its case, a large quantity of diabetes medication, two teflon-coated milk jugs, Guinness and a five-foot unicycle. Setting up a postal system in a country with so much migration from countryside to city would be complicated at any rate. 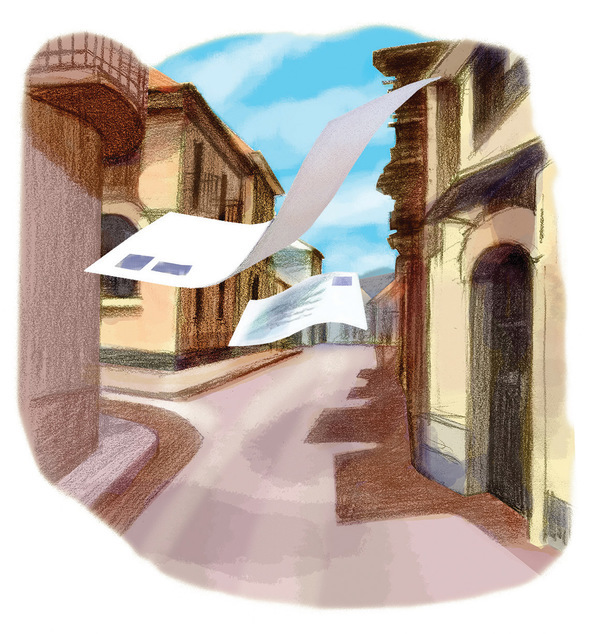 In the barrios where I work, the streets have no names and the houses, no numbers. Many homes have sprung up, quite at random, in the past 20 years. It would be hard to label envelopes to houses with no address. Common pieces of post like bank statements, utility bills and junk mail are often irrelevant in a country which does its finances and utilities differently. Only 42 per cent of Bolivians have bank accounts according to 2014 World Bank figures, making regular paper statements beside the point for many. Despite the government’s roll-out of piped gas connections, for most people gas still comes in big yellow cannisters. In poor areas of Cochabamba, water is often delivered by truck or comes from a system run by the community. Newspapers are bought from sellers on the street corner. Day-to-day, I don’t miss the post much, but I do feel there are some ways in which it would improve our lives here. Not having a home delivery postal system is just one piece in a large jigsaw that also includes lack of banking access, infamously slow internet, and customs delays. Books and films are often pirated, originals are prohibitively expensive, and there are no large chain bookshops in Cochabamba able to leverage their size to offer books from all over the world – although there is much to be said for the independent bookshops boasting ample collections of Bolivian writing. Ultimately, lack of access to books, films and other art makes it hard to access ideas. Domestic delivery post is not what Bolivia needs most. As internet use grows, correspondence and utility bills may be able to skip the paper stage entirely. Domestic post is not the only way to send parcels. But my letters from Cochabamba will never come with a stamp on them.